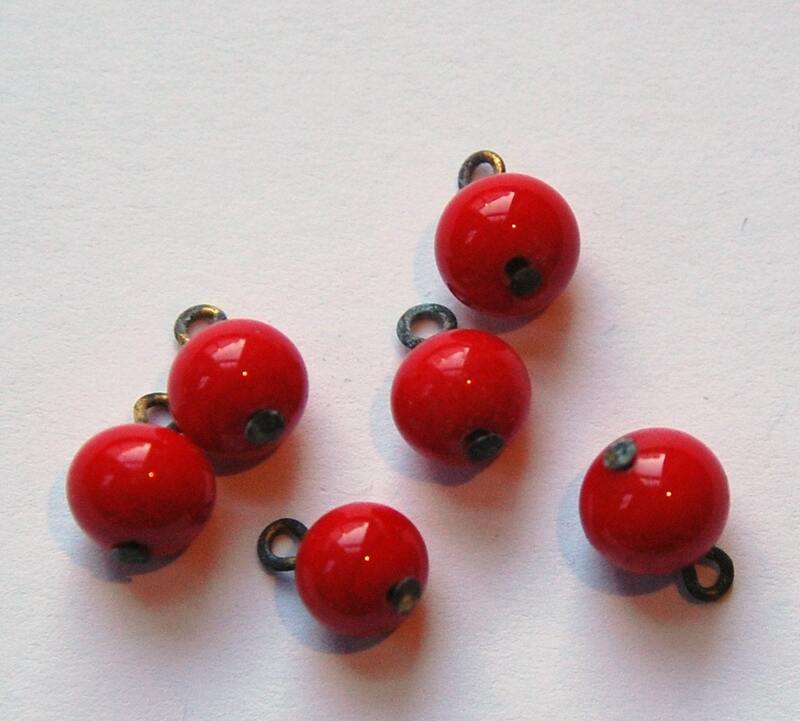 These are a very pretty red glass bead with an attached loop. The bead has subtle swirls. These have an attached loop. The metal has oxidized on these. The bead measures 8mm. With the loop they are 12mm long. You will receive 10 of these. VERY fast shipping on these colorful, cheerful drops! They are great! Just precious and perfect! Thank you very much! Great shop for unique supplies...thanks! The perfect red!! Thanks so much!